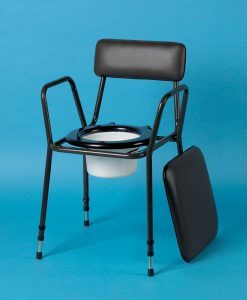 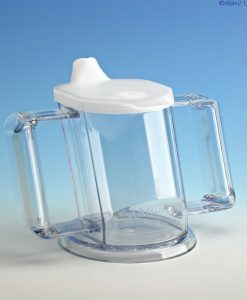 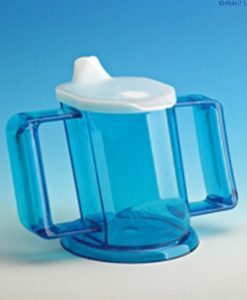 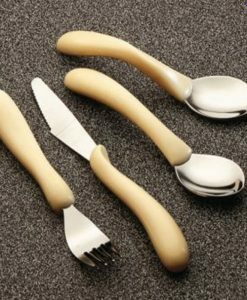 This cutlery has been specifically designed for people with a weak grip or reduced mobility. 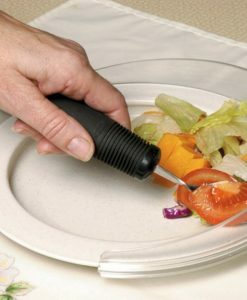 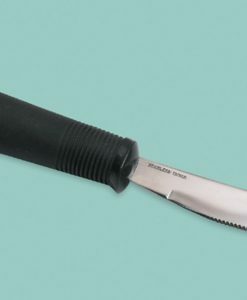 The comfort grip cutlery’s soft rubber handles provide extra comfort when in use, whilst the ribbed handle surface facilitates a better grip even when wet. 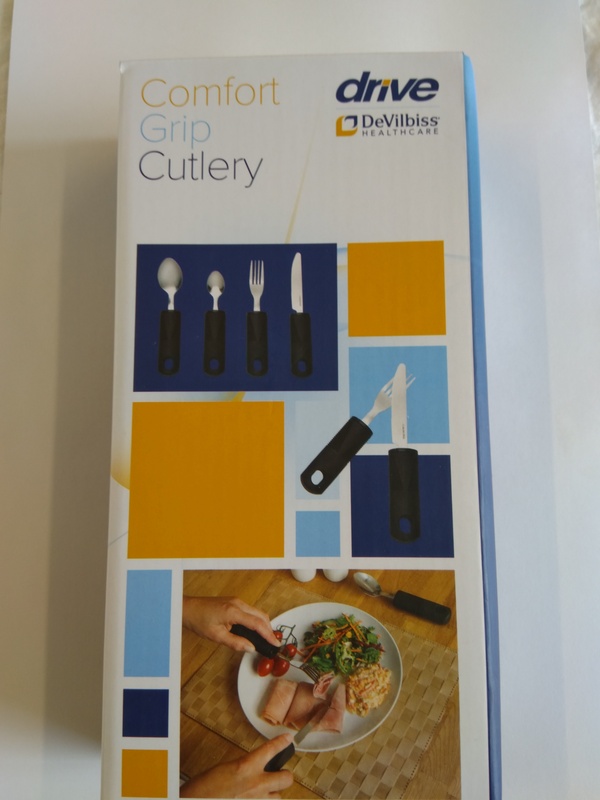 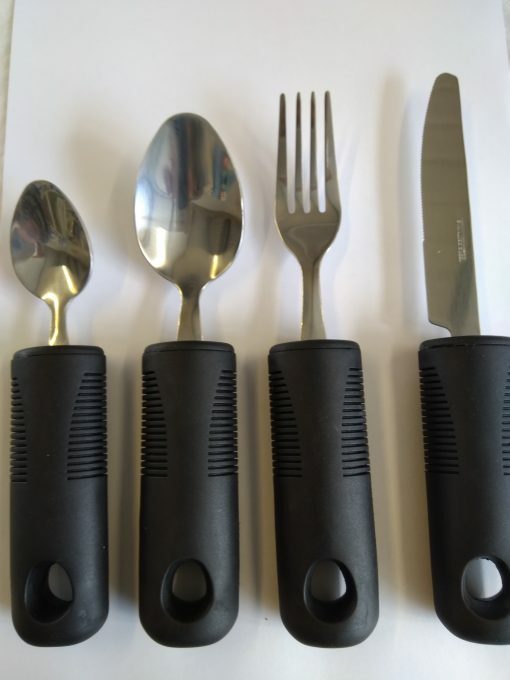 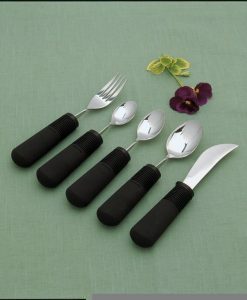 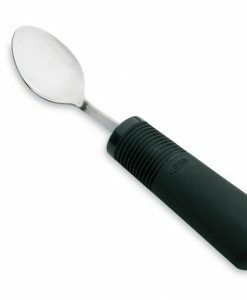 Supplied as a set of 4 utensils; knife, fork, dessert spoon and teaspoon, each comfort grip cutlery features a large cushioned and weighted handle making it easier to control in use.